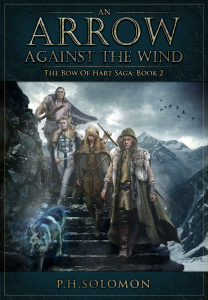 An Arrow Against the Wind is now on Kindle Countdown until 2/16. Take advantage of it’s discounted price and continue reading The Bow of Hart Saga. Below is a bit more about the book including a commentary and an excerpt. You don’t want to miss this discount on this book which was named Fantasia Reviews 2017 Book of the Year. Thanks, Jacquie. A lot of other people agree with you. What grabs your attention? It reminds me of a game DH plays, Assassin Creed, about the Templar knights. Interesting. This book went a lot of adventurous/action directions. Thanks for the compliment. I hope you’ll read more!